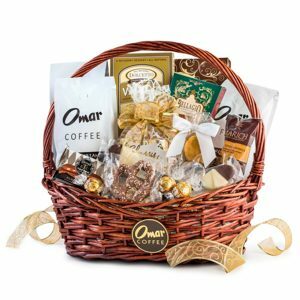 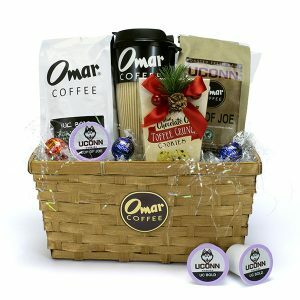 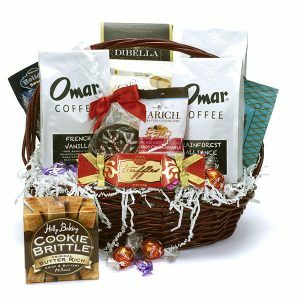 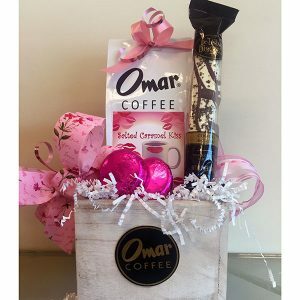 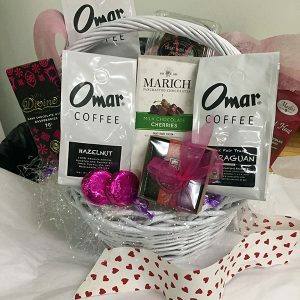 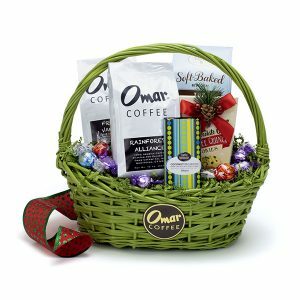 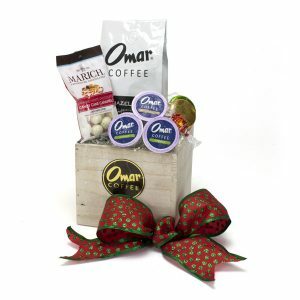 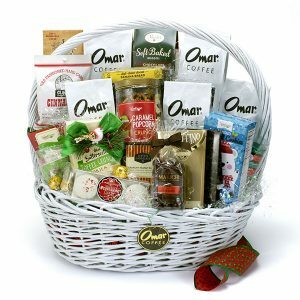 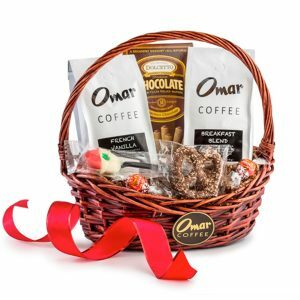 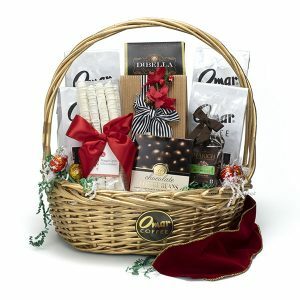 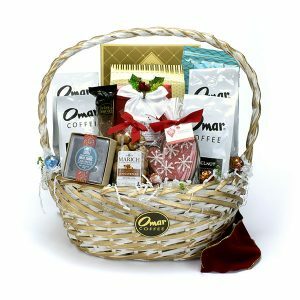 Finding the perfect gift basket is easy with selections from Omar Coffee! 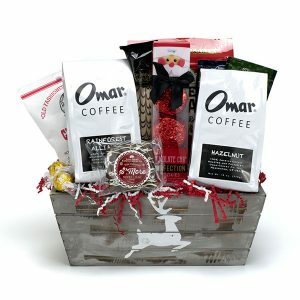 We specialize in corporate gift baskets for business associates as well as coffee baskets for friends and family. 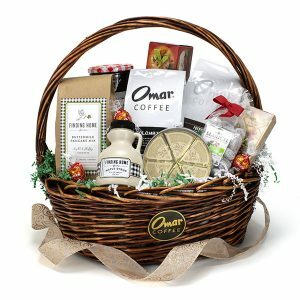 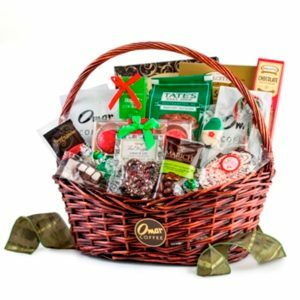 Each gourmet coffee gift basket is designed with fresh roasted Omar Coffee and unique fancy food items. 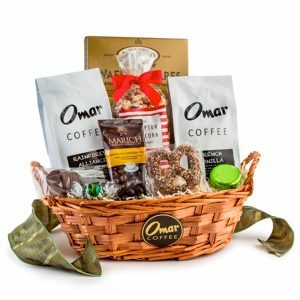 With more than 15 years in the gift basket business and over 80 years in the coffee roasting business, you can be confident knowing that customer satisfaction and quality is very important to us. 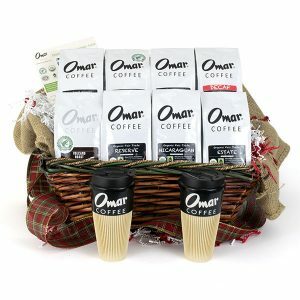 Omar Coffee reserves the right to substitute products of equal or greater value in each basket.